Special Guest Judge Zac Young during judging of the Master Challenge, Wedding Tower, during the Wedding Spectacular, as seen on Best Baker in America, Season 2. 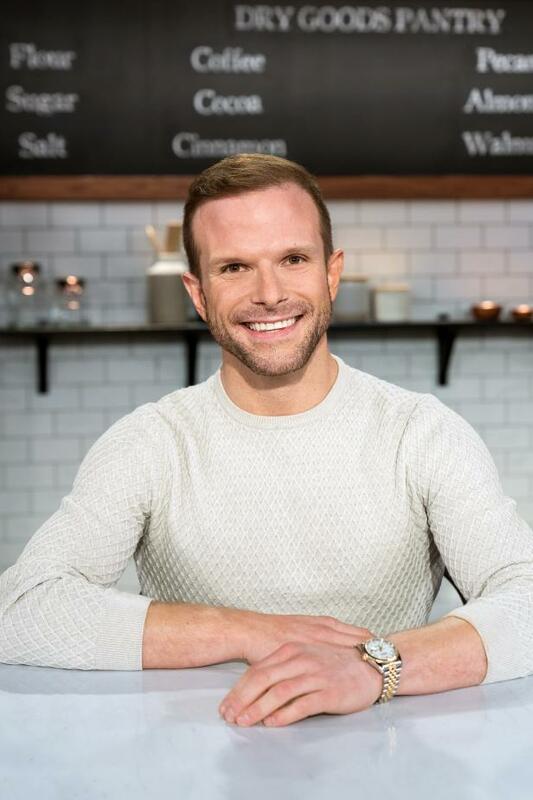 Zac Young is the Pastry Director of Creaveable Hospitality Group, a nationwide company specializing in food and beverage management, licensing and consulting and responsible for the all-in-one Thanksgiving dessert sensation, The PieCaken. A graduate of Walnut Hill School for the Arts and The Institute of Culinary Education, his experience includes Bouchon Bakery in New York City, and Alexandra Guarnaschelli’s Butter Restaurant, as well as training in France with renowned chefs such as Philippe Givre at Valrhona and Philippe Parc at Chocolate Michel Cluizel. Named one of the Top Ten Pastry Chefs in America by Dessert Professional, his passion and pastry wisdom has been showcased on Cooking Channel’s Unique Sweets and on Food Network’s Beat Bobby Flay, Chopped, and Worst Cooks in America.